PMy absolute favorite snack box in existence is VeganCuts! Their boxes have pretty consistently been gluten/wheat free and they are always 100% vegan! The founder told me that they try to make the boxes 80-100% gluten free but I know the last two boxes (at least) have been 100% gf :) this makes me very happy! 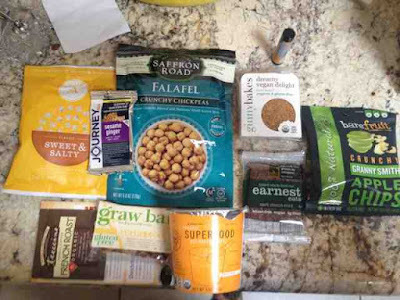 I was subscribing to Conscious Box's gluten free box (they also offer vegan and regular boxes) but they have been pretty sucky lately. Really only the first box I got in February was good all other have been a total waste of money. So my suggestion is if you want an amazing snack box you can't go wrong with VeganCuts. For beauty products I suggest EcoEmi and Yuzen they are great and I love my monthly EcoEmi and quarterly Yuzen.